Nicholas Fish (1758–1833) was an American Revolutionary soldier, born in New York City. He attended Princeton but left before graduating to pursue the study of law at King’s College (now Columbia University) through the office of John Morin Scott in New York. There he became actively interested in the organization of the Sons of Liberty. In 1776 he was appointed by Scott aide-de-camp on his staff. Scott had been commissioned brigadier general. 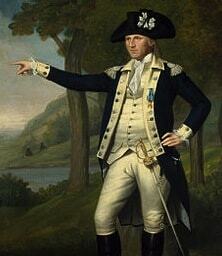 On August 21, 1776 he was appointed major of the 2nd New York Regiment. He served as a division inspector under Major General von Steuben in 1778. 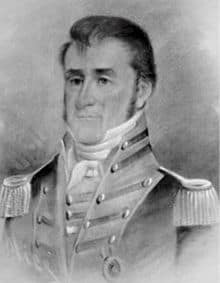 He participated in the battles of Saratoga and Monmouth, in Sullivan’s expedition against the Native Americans in 1779, and in the Virginia and Yorktown campaigns, in which he served for a time on the staff of Lafayette. 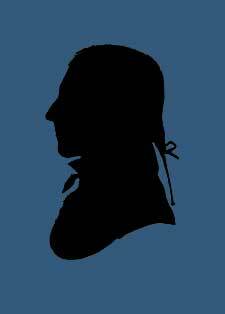 He was an original member of the New York Society of the Cincinnati and served as its president from 1797 to 1804 and from 1805 to 1806. His son, Hamilton Fish, would serve as the Society’s President General from 1854 to 1893. In 1786 he was appointed adjutant general of New York State, which position he held for many years. 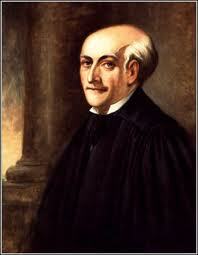 In 1794 he was appointed by Washington supervisor of the Federal revenue in New York City. On two occasions Fish ran unsuccessfully for United States Congress, losing to Samuel L. Mitchill in 1804 and Gurdon S. Mumford in 1806. Fish also twice ran unsuccessfully for Lieutenant Governor of New York. In 1810, he was the Federalist candidate, but lost to incumbent John Broome. Broome subsequently died one month into his term in August 1810. Fish ran in a special election for Lieutenant Governor in 1811 to fill the vacancy created by Broome’s death, but lost to the then-mayor of New York City, DeWitt Clinton. During the War of 1812, Fish served as a member of the City Committee of Defense. * With Alexander Hamilton he served in New York Militia Hearts of Oak (1st Battalion/5th Field Artillery Regiment). * Father of New York Governor/Senator Hamilton Fish. * Nicholas Fish’s portrait can be seen at far right bottom row of John Trumbull’s The Surrender of Cornwallis at Yorktown painting. Fish died in 1833, and was buried in the churchyard of St. Mark’s Church in-the-Bowery in New York City.